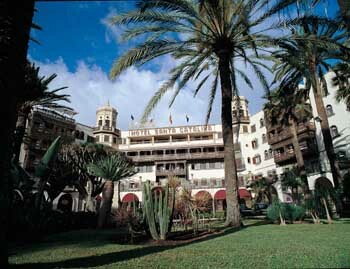 Las Palmas de Gran Canaria is both a municipality, the capital of Gran Canaria and the province of Las Palmas. This town is located on the extreme northwest point of the island only 20 kilometers away from Gran Canaria’s International Airport. 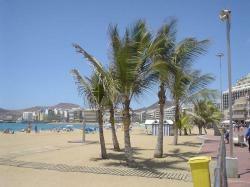 Las Palmas is a cosmopolitan city, filled with activities and regular entertainment. It’s the most populated city on this islands. This is the idyllic spot for you holidays no matter on which season you’re in. The average temperature is 22ºC (71,6ºF) reaching its maximum temperature in the summer 25ºC (77ºF) and minimum of 17ºC during winter (62,6ºF) which you allow you to enjoy the sun anytime during the year on one of its beaches (Las Canteras, Las Alcaravaneras and La Laja) or on the lovely promenade with nearly 7 kilometers wide. The history of Las Palmas de Gran Canaria embraces more than five centuries, actually it all started on 1478 when the captain Juan Rejón began the conquest of this island and founded this city on the historic district of Vegueta, this is one of the must-see sites when you’re visiting this city. 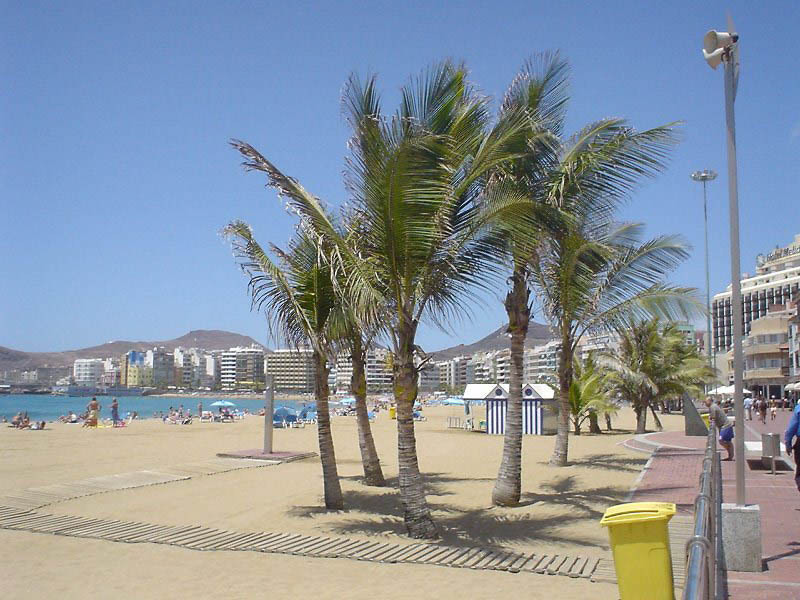 The ports Puerto de La Luz and Puerto de Las Palmas were built during the second half of the XIX century which allowed a complete modern transformation. 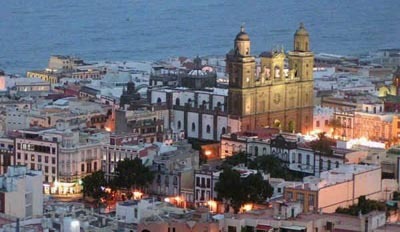 Since 1950 that this city considers tourism as an opportunity for total renewal. 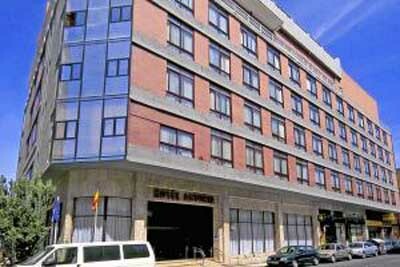 This city is nowadays one of the most important tourist enclaves in the whole Atlantic region. It’s most important strengths are the amazing infraestructures, the cultural and entertainment offer, the lively commercial activity, the stupendous climate and the amazing beaches. 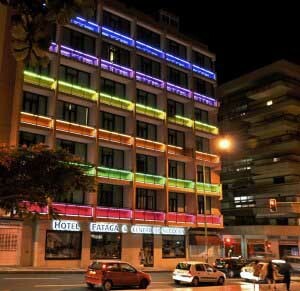 The party lovers, the culture lovers or the entertainment seekers might find, in Las Palmas de Gran Canaria, the ideal destination. This city also hosts some important music and art festivals such as the Festival de Música de Canarias, the Festival Internacional de Cine de Las Palmas de Gran Canaria, the Festival de Teatro y Danza, or the Festival de Jazz; among other entertainment events like the Carnival. If you’re an active person you might enjoy the practice of some water sports available here as surfing, windsurfing and diving or even enjoy the amazing golf courses, as for example, the Bandama Golf Course. Some of the most interesting sites to visit on this city are: the district of Puerto - Canteras with the Las Canteras borough and its famous beach, the La Isleta borough with the La Luz Castle, the Vegueta Borough where you might find the famous historic centre, the Santa Ana Cathedral, the Atlantic Centre of Modern Art, the Vegueta Market, the Colón House Museum, the Canary Museum, the Triana Borough with its major street and the Pérez Galdós House Museum, the Ciudad Jardín, the Alcaravaneras where you must see the Pueblo Canario, the Néstor Museum, the Doramas Park and the Alcaravaneras Beach. On the suburb you might even take a look at the Jardín Canario and the Caldera de Bandama Natural Monument. 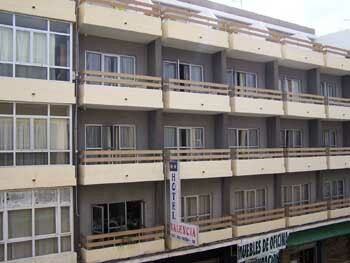 To access this city you might rent a car at the airport and take the GC-3 highway until here.